'When did the EU call in the Palestinian ambassadors about incitement that calls for Israel's destruction?' Prime Minister asks. Prime Minister Binyamin Netanyahu slammed the European Union Thursday for summoning envoys over recently unveiled plans for some 1,800 new homes for Jews in the ancient Jewish capital of Jerusalem, and the Biblical heartland of Judea and Samaria. "This is hypocrisy. The EU calls our ambassadors in because of the construction of a few houses? When did the EU call in the Palestinian ambassadors about incitement that calls for Israel's destruction?" Netanyahu asked foreign correspondents at his annual new year reception. "It's time to stop this hypocrisy," he said. "This imbalance... doesn't advance peace, I think it pushes peace further away." 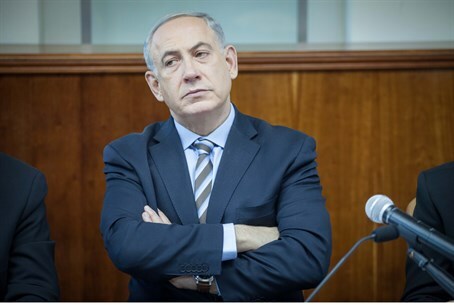 Netanyahu's government announced plans for the new homes, just days after the latest peace mission by US Secretary of State John Kerry who has slammed them as "illegitimate" and "unhelpful." The newly declared plans include 801 units in Judea and Samaria as well as 600 units in Jerusalem, with tenders on an additional 532 units in Jerusalem, which were previously announced, being re-marketed. A spokesman for the British Foreign Office told AFP the Israeli ambassador was summoned "over the Israeli government's recent decision to announce new settlement tenders". Foreign Office permanent under-secretary Simon Fraser "made clear that settlement announcements had a detrimental impact on an atmosphere conducive to productive talks. The UK urged Israel to refrain from further such announcements," the spokesman said.